An Evansville native since birth, Homes by Eagle owner Shane Clements understands homebuilding. His father, Tony, started Clements Construction in 1975, when Shane was just a small boy. “My father was both an inspiration and a role model to me in those early years,” said Shane. As a young man, Shane attended the Kelley School of Business at Indiana University, where he earned a degree in accounting. 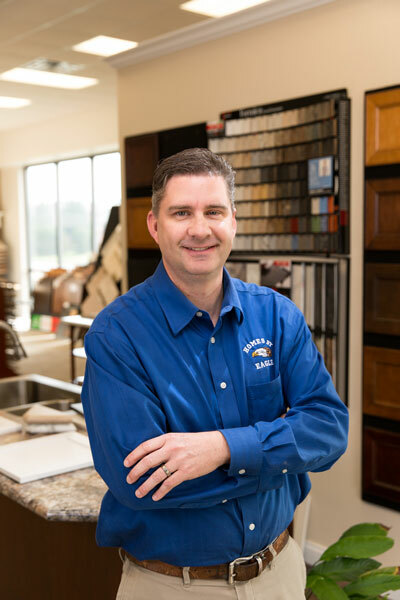 Using that knowledge, along with the construction expertise he gleaned from his father over the years, Shane transformed Tony’s earlier building enterprise into Homes by Eagle, a recognized leader in quality homebuilding. Possessing a strong entrepreneurial drive, Shane firmly believes that the customer is a vital component in any home-building venture. Shane hones his business and construction skills by being an active member of the Southern Indiana Builder’s Association. 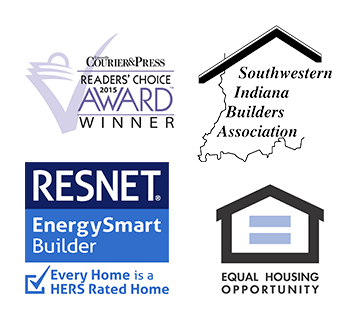 SIBA is a 300-member organization that represents every facet of homebuilding and serves as a central hub of the housing industry in Southwestern Indiana. Shane served as the group’s president in 2010, has held a position on the board of directors, and has been active on committees focusing on building codes, land development, and the annual Parade of Homes, which showcases local builders. Shane also holds an Indiana Realtor’s license. A priority of Shane’s is giving back to the community. To that end, Homes by Eagle has been an integral part of major home-related fundraisers in recent years with the southwestern Indiana chapters of United Way and Easter Seals, local non-profits that assist needy and disabled adults and children. 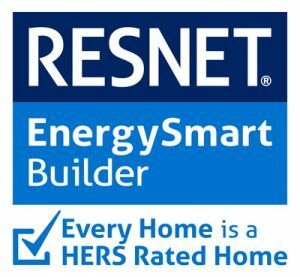 The quality and consistency of Homes by Eagle’s work is underscored by the awards the company has received in recent years. In 2014 and 2015, the Evansville Courier & Press recognized Homes by Eagle as the Platinum New Home Builder, the highest distinction available to only one builder per year. Additionally, in 2017 and 2018 we were awarded the Gold Award for New Home Builder.  In addition, Homes by Eagle has been presented with 22 Parade of Homes awards since 2004 for superior construction and design features. Aside from the accolades, this experienced builder—constructing 25-30 homes a year—takes particular pride in his direct involvement in every home that Homes by Eagle builds. 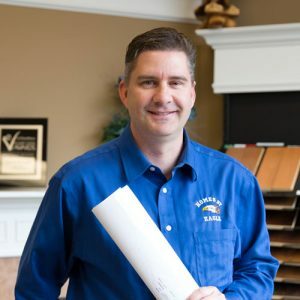 Shane is personally on the jobsite daily, meets every homeowner, performs quality control on every home, and serves on the local Building Codes Committee, which ensures that he is at the top of his game with regard to new and emerging code requirements.